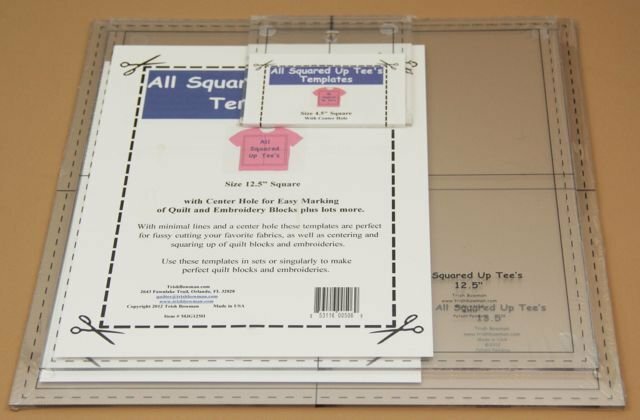 Save 10% off Individual Templates - the 12 inch Block T Shirt Quilt Kit contains all the All Squared Up Tee's templates you will need to make the perfect 12 inch block for your memory quilt. 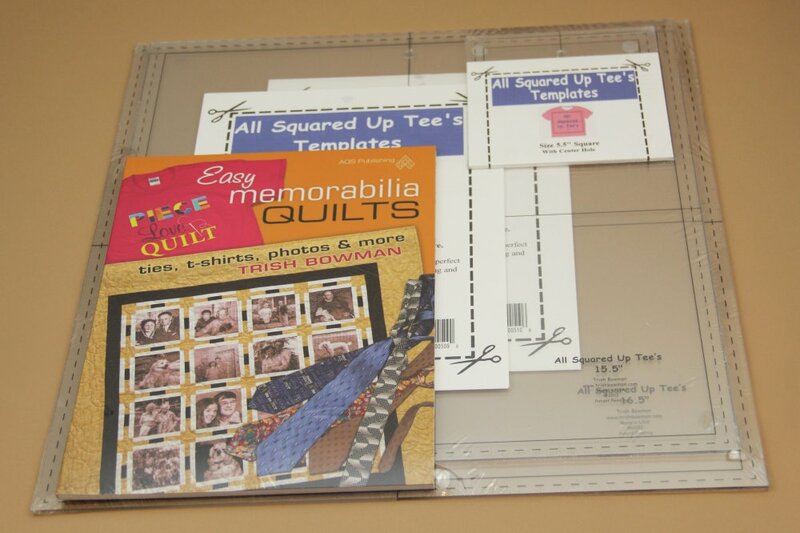 Save 10% off Individual Prices - this kit/book combo includes all the templates you need to make the perfect 12 inch block for your t-shirt quilts and the Easy Memorabilia Quilt Book to give you step by step instructions, making designing the quilt easy! 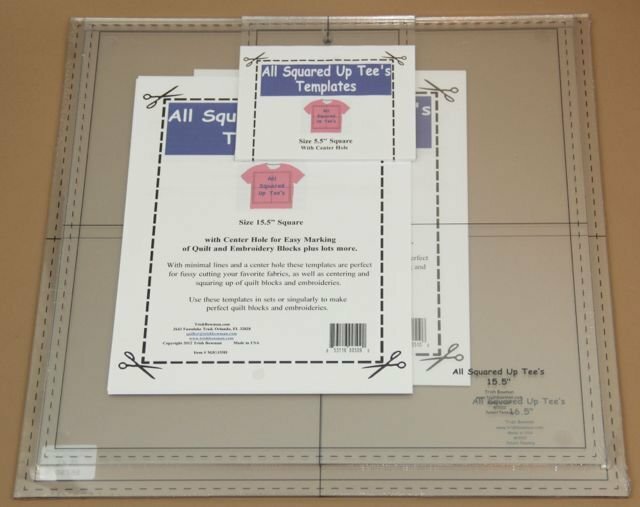 Save 10% off Individual Templates - the 13 inch Block T Shirt Quilt Kit contains all the All Squared Up Tee's templates you will need to make the perfect 13 inch block for your memory quilt. Save 10% off Individual Prices - this kit/book combo includes all the templates you need to make the perfect 13 inch block for your t-shirt quilts and the Easy Memorabilia Quilt Book to give you step by step instructions, making designing the quilt easy! 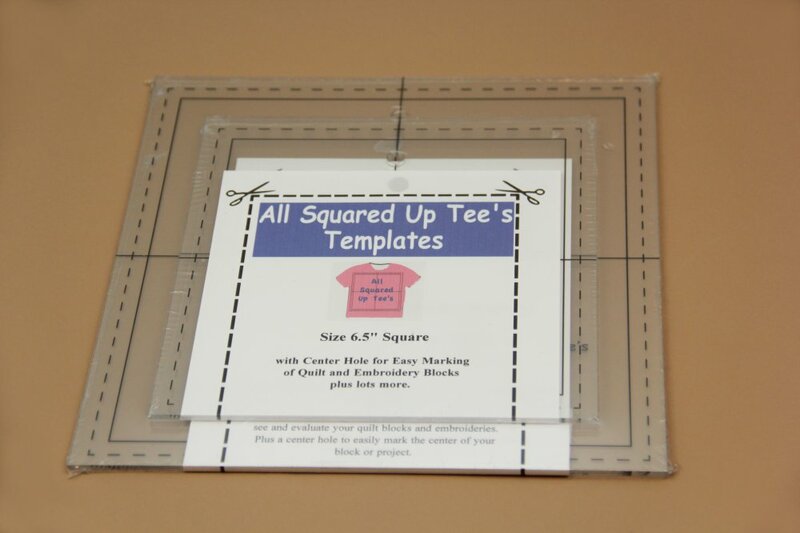 Save 10% off Individual Templates - the 14 inch Block T Shirt Quilt Kit contains all the All Squared Up Tee's templates you will need to make the perfect 14 inch block for your memory quilt. 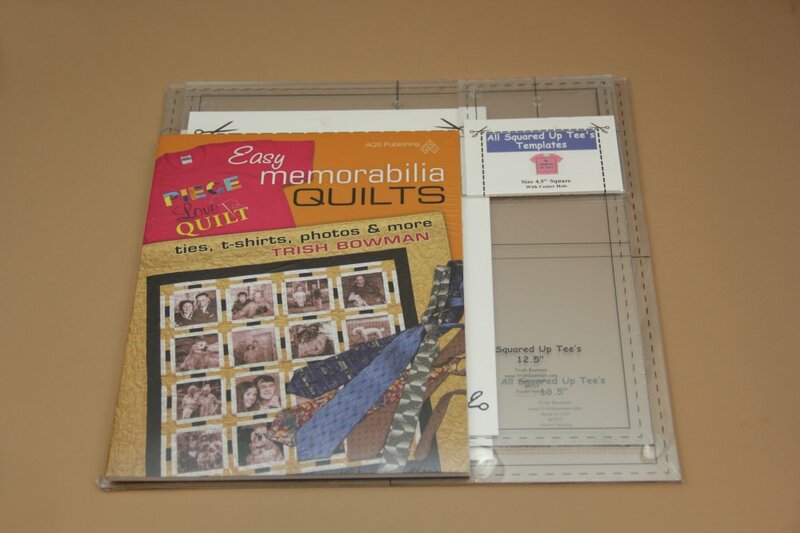 Save 10% off Individual Prices - this kit/book combo includes all the templates you need to make the perfect 14 inch block for your t-shirt quilts and the Easy Memorabilia Quilt Book to give you step by step instructions, making designing the quilt easy! 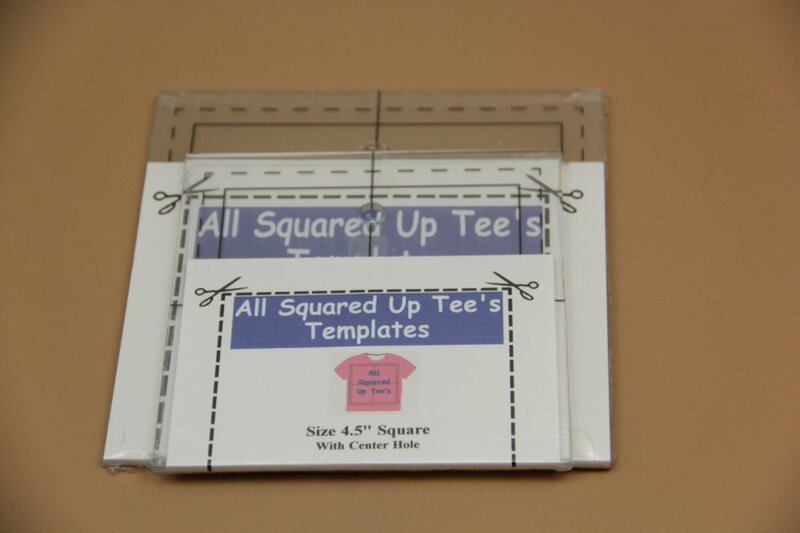 Save 10% off Individual Templates - the 15 inch Block T Shirt Quilt Kit contains all the All Squared Up Tee's templates you will need to make the perfect 15 inch block for your memory quilt. Perfect for accurately centering embroideries. Save 10% off Individual Templates - this Block/Embroidery Kit contains both the 4.5" and 5.5" size templates. Perfect for accurately centering those large embroideries. Save 10% off Individual Templates - this Block/Embroidery Kit contains both the 6.5" and 8.5" size templates.